$10 savings on show tickets. 1 discount per Gold Cap Card. While the history of 412 ½ E Douglas is very rich and varied, this latest chapter is a new story with a fresh focus. And it began with a sign… literally. The Roxy’s Downtown sign has been in place for just about as long as anybody can remember. 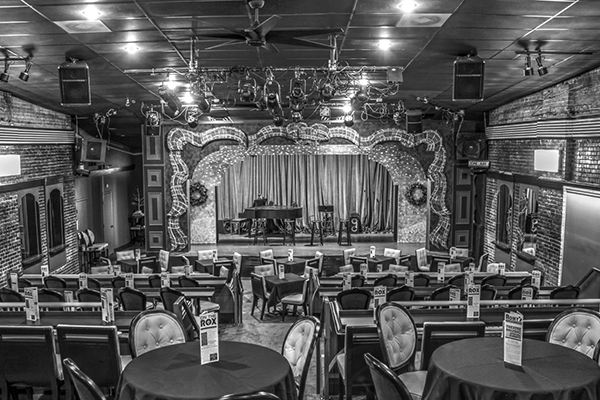 It was one of the first things you saw when going to see a show at the previous Cabaret Oldtown, which means that it has been seen by tens of thousands. The charm and loved familiarity of the Roxy’s sign might have been the reason why it had remained in place as a permanent fixture of the Cabaret identity, even if sometimes puzzling with its mysterious presence on the alley entrance to the beloved space. 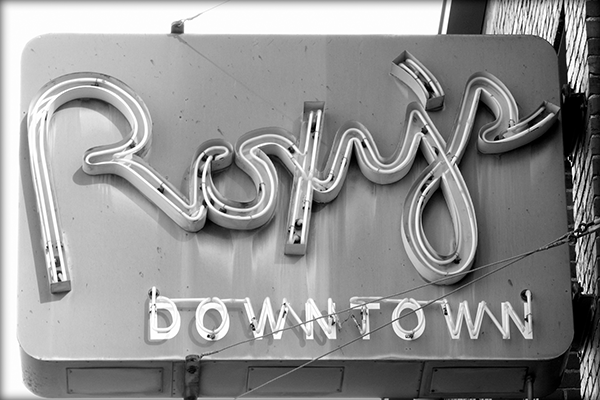 But reclaiming the name Roxy’s Downtown and restoring the old sign to its original simple beauty was just the beginning. The space has been remodeled and transformed to be one of Wichita’s premiere live performance venues, and all on a beautiful, intimate scale that usually can only be found in mecca-cities. 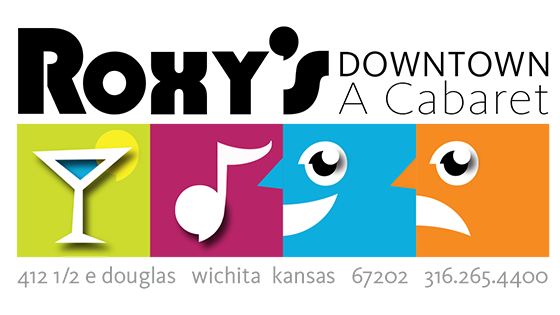 Dedicated to embracing the vibrant and growing Downtown scene in Wichita, Roxy’s strives to provide top-notch entertainment throughout the year. Catch an off-Broadway musical comedy as part of our Main-Stage programming, or experience our offbeat entertainment in our Unfiltered Series; innovative and fresh entertainment on a continuous schedule, including jazz jam sessions, concerts, comedy, film, and smart educational programming… relevant or playfully irrelevant, if it has purpose it has a place. Roxy’s Downtown also specialize in de-stressing your corporate event so you can focus on creating the exact impact you want without having to worry about all the details. Our dedicated team and exceptional tech and stage talent are here to help you. 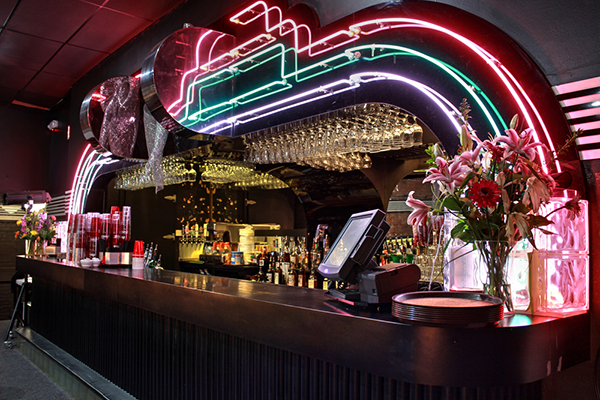 The visitor’s experience at Roxy’s is and will remain the driving force behind our programming. Let us make your visit to Wichita one you remember. 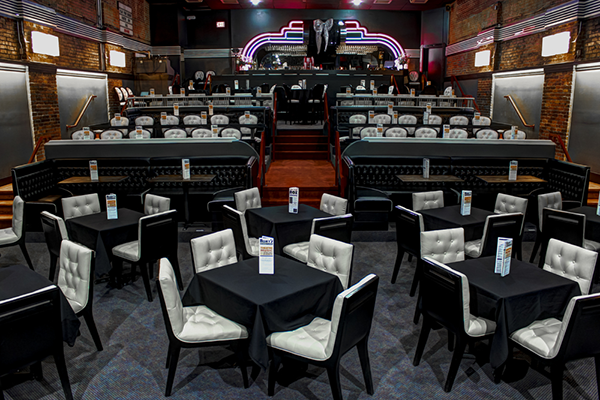 The next time you want to be entertained, are looking to create that perfect date, or simply wish to fly solo and spend a great evening with simpatico souls, Roxy’s Downtown will be the first venue that comes to your mind. Visit our website at http://www.roxysdowntown.com for our season performance schedule or call 316-265-4400 to reserve your tickets! The Gold Cap™ Experience means going above and beyond to make your stay with us spectacular. When it comes to getting around town, we’ve done the homework for you, leading you to some of the best locally-owned dining, entertainment, and shopping experiences all across our fair city.